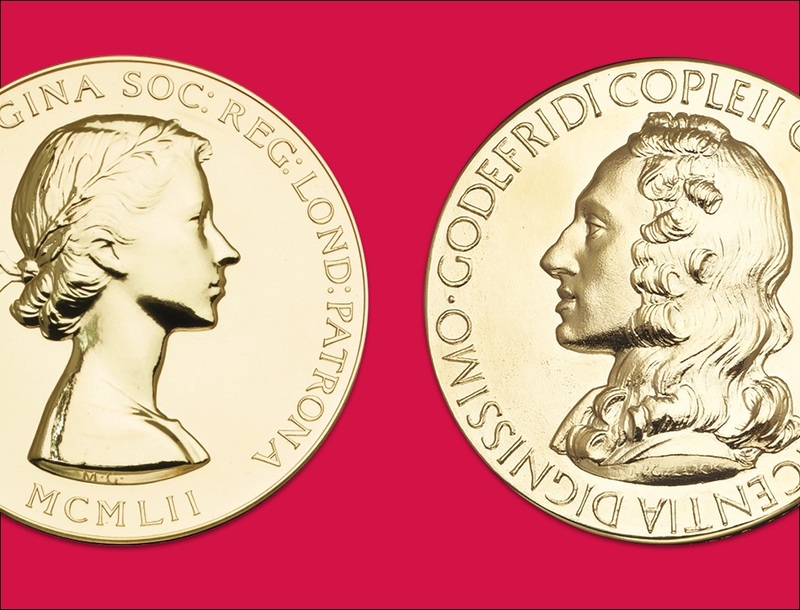 The Royal Society announces the winners of 24 medals and awards. The annual prizes recognise exceptional researchers who make outstanding contributions to science. Stephen Sparks FRS receives the Royal Medal for his contributions to our understanding of volcanoes, including evaluating their risks and mitigating their hazards. 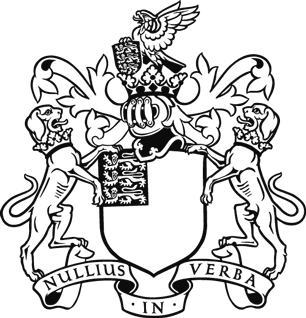 The Royal Medals are one of the Royal Society’s premier awards and are made on behalf of the Queen each year. Awarded annually since 1825, this year’s recipients of the Royal Medals join the ranks of Fred Sanger, Max Perutz and Francis Crick. Also receiving the Royal Medal is Lewis Wolpert CBE FRS for his research on morphogenesis and pattern formation that led to the concept of positional information in embryonic development. His work has enabled us to understand how cells do the right thing in the right place as an embryo grows. Shankar Balasubramanian FMedSci FRS and David Klenerman FMedSci FRS are jointly awarded the third and final Royal Medal for their co-development of DNA sequencing techniques transforming biology and genomic medicine. The Croonian Medal and Lecture is awarded to Kay Davies DBE FMedSci FRS for her achievements in developing a prenatal test for Duchenne muscular dystrophy and her work on characterizing dystrophin related proteins. Duchenne muscular dystrophy is a progressive muscle wasting disease which affects mostly boys, who often need wheelchairs at about 12 years of age and die in their twenties, usually from respiratory or cardiac problems. There is currently no effective treatment. Kay’s work has resulted in treatments poised to transform the lives of an estimate 250,000 patients worldwide. Edward Hinds FRS is awarded the Bakerian Medal and Lecture for his achievements in controlling individual atoms, molecules and photons. Edward’s research has focused on how to use quantum systems to make the most sensitive measuring devices possible, and how to use these devices to investigate the nature of quantum systems more deeply. The Sylvester Medal is awarded to Dusa McDuff FRS for her pioneering role in the development of the new field of symplectic geometry and topology. Her outstanding work includes many fundamental theorems and she has been inspirational for generations of mathematicians. Emma Chapman, member of the campaign organisation The 1752 Group has been awarded the Royal Society Athena Prize 2018 in the individual category for driving nationally impactful policy changes concerning sexual harassment issues in higher education. The Communications team at the Academy of Medical Sciences also receive the prize in the team category for their programme increasing the visibility and participation of female scientists in the media. The Rosalind Franklin Award is awarded annually to those who raise the profile of women in STEM in their host institution and/or field of expertise in the UK. This year it goes to Tamsin Mather, Professor of Earth Science at the University of Oxford, for her work in the field of volcanology. Tamsin’s research explores the diverse ways in which volcanoes interact with Earth's environment, the processes driving volcanic unrest and eruptions processes, as well as the hazards they pose. See the full list of medals and awards, including their description and past winners. For his contributions to understanding the role of gut microbial communities to human health and disease. For his contributions to our understanding of volcanoes, including evaluating their risks and mitigating their hazards. For his research on morphogenesis and pattern formation that led to the concept of positional information in embryonic development. For his achievements in controlling individual atoms, molecules and photons. With these, he has advanced our understanding of fundamental phenomena such as Casimir forces, dark energy, and supersymmetry. For pioneering leadership in understanding the depletion of the global ozone layer by halocarbons, particularly coupling between chemistry, radiation, and dynamics, and the special vulnerability of Arctic ozone. For his distinguished photochemical studies for the design solar energy devices, particular by transient spectroscopic studies of dye sensitized solar cells and of photoelectrochemical water splitting. For pioneering work in the quantum control of light and matter on ultrashort timescales, especially the invention and application of new techniques for characterization of quantum and classical light fields. For her pioneering role in the development of the new field of symplectic geometry and topology. Her outstanding work includes many fundamental theorems and she has been inspirational for generations of mathematicians. For his discovery that the MeCP2 protein silences transcription of methylated DNA and can reverse established Rett Syndrome in MeCP2 deficiency, demonstrating that such neurodevelopmental diseases are curable. For his contribution to our understanding of the genetics of quantitative traits and response to selection. For her contributions to understanding protein aggregation that inform approaches to diseases such as Alzheimer’s and diabetes and to the creation of self-assembled functional biopolymers. For her outstanding contributions to mathematics education. For his discoveries concerning the developmental and functional logic of sensory information processing. For his contributions to the understanding and quantifying natural climate variability and long-term climate change, and for actively communicating climate science. For her excellence in communicating science. On the basis of her achievements in the field of volcanology, her ability to communicate with the public and her imaginative project proposal. For his development of computational techniques that have brought genome sequencing into everyday use, underpinned key biological sequencing tools, and made large scale analysis of biological images practical. For his significant contributions in popularising medical history and the medical humanities. For her contributions and innovative approaches to understanding Mycobacterium ulcerans and Mycobacterium africanum, combining microbiology, genetic studies and epidemiology. For their work as renowned academics and serial entrepreneurs who together founded and led a most successful spin-off in the physical sciences, active in environmental and air quality sensors. For driving nationally impactful policy changes concerning sexual harassment issues in higher education. For an evidence-based, sustainable and impactful programme that has increased the visibility and participation of female scientists in the media.